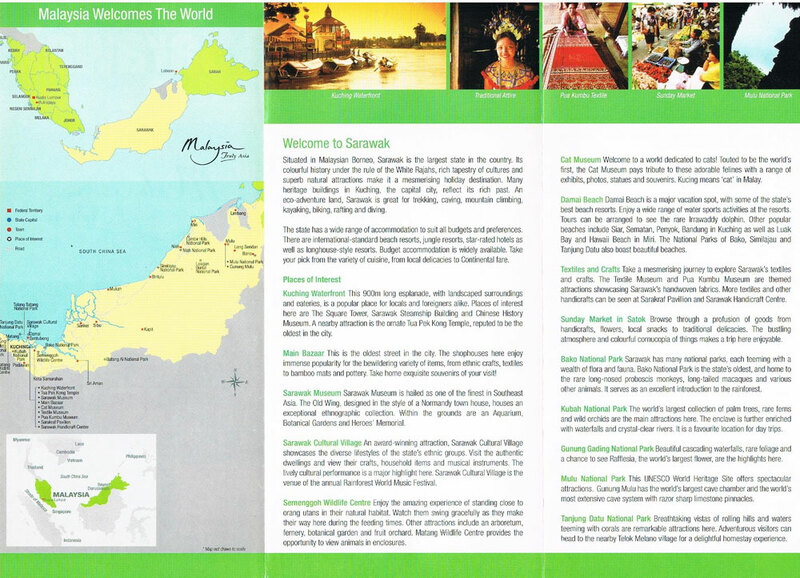 Situated in Malaysian Borneo, Sarawak is the largest state in the country. Its colourful history under the rule of the White Rajahs, rich tapestry of cultures and superb natural attractions make it a mesmerising holiday destination. Many heritage buiidings in Kuching, the capital city, reflect its rich past. 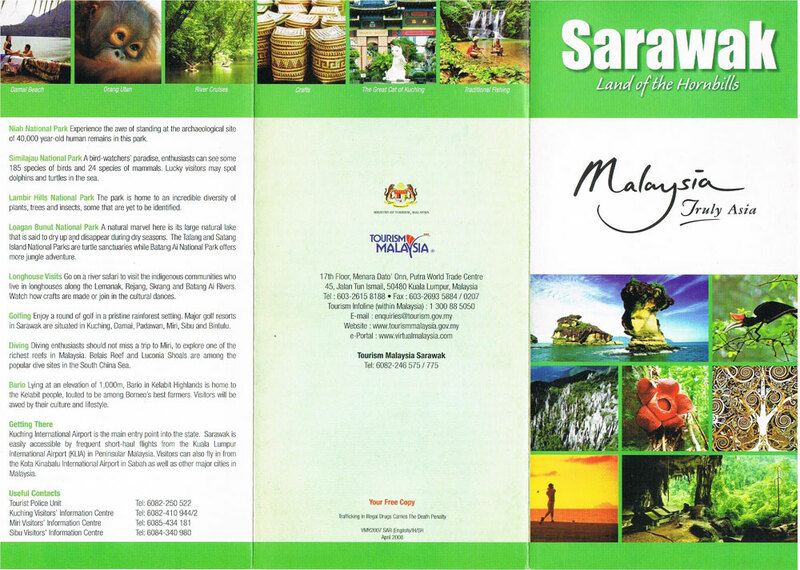 An eco-adventure land, Sarawak is great tor trekking, caving, mountain climbing, kayaking, biking, rahing and diving. 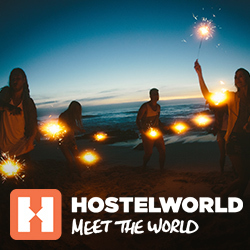 The state has a wide range ot accommodation to suit all budgets and preferences. There are international-standard beach resorts, jungle resorts, star-rated hotels as well as longhouse-style resorts. Budget accommodation is widely available. Take your pick trom the variety of cuisine, from local delicacies to Continental fare. Kuching Waterfront This 900m long esplanade, wilth landscaped surroundings and eateries, is a popular place lor locals and foreiguers alike. Places of interest here are The Square Tower, Sarawak Steamship Building and Chinese History Museum. A nearby attraction is the ornate Tua Pek Kong Temple, reputed to be the oldest in the city. Main Bazaar This is the oldest street in the city. The shophouses there enjoy immense popularity for the bewildering variety of items, from ethnic crafts, textiles to bamboo mats and pottery. Take home exquisite souvenirs of your visit! Sarawak Museum Sarawak Museum is hailed as one 0f the finest in Southeast Asia. The Old Wing, designed in the style 0f a Normandy town house, houses an exceptional ethnographic collection. Within the grounds are an Aquarium, Botanical Gardens and Heroes Memorial. Sarawak Cultural Village An award-winning attraction, Sarawak Cultural Village showcases the diverse litestyles of the state‘s ethnic groups. Visit the authentic dwellings and view their crafts, household items and musical instruments. The lively cultural pertormance is a major highlight there. Sarawak Cultural Village is the venue of the annual Raintorest World Music Festival. Semenggoh Wildlife Centre Enjoy the amazing experience of standing close to orang utans in their natural habitat. Watch them swing gracetully as mey make their way here cluring the feeding times. Other attractions include an arboretum, fernery, botanical garden ans fruit orchard. Matang Wildlife Centre provides the opportunity of view animals in enclosures. Cat Museum Welcome to a world dedicated to cats! Touted to be the world‘s first, the Cat Museum pays tribute to these adorable felines with a range of exhibits, photos, statues and souvenirs. Kucing means ‘cat‘ in Malay. Damai Beach Damai Beach is a major vacation spot, with some of the state‘s best beach resorts. Enjoy a wide range of water sports activities at the resorts. Tours can be arranged to see the rare Irrawaddy dolphin. Other popular beaches include Siar, Sematan, Penyok, Bandung in Kuching as well as Luak Bay and Hawaii Beach in Miri. The National Parks of Bako, Similajau and Tanjung Datu also boast beautiful beaches. Textiles and Crafts Take a mesmerising journey to explore Sarawak‘s textiles and crafts. The Textile Museum and Pua Kumbu Museum are themed attractions showcasing Sarawak‘s handwoven fabrics. More textiles and other handicrafts can be seen at Sarakraf Pavillion and Sarawak Handicraft Centre. Sunday Market in Satok Browse through a profusion of goods from handicrafts, flowers, local snacks to traditional delicacies. The bustling atmosphere and colourful cornucopia of things makes a trip here enjoyable. Bako National Park Sarawak has many national parks, each teeming with a wealth ot flora and fauna. Bako National Park is the state‘s oldest, and home to the rare long-nosed proboscis monkeys, long-tailed macaques and various other animals. It serves as an excellent introduction to the rainforest. Kubah National Park The world‘s largest collection of palm trees, rare ferns and wild orchids are the main attractions here. The enclave is further enriched with waterfalls and crystal-clear rivers. It isa favourite location tor day trips. Gunung Gading National Park Beautiful cascading waterfalls, rare foliage and a chance to see Raftlesla, the world‘s largest flower, are the highlights here. Mulu National Park This UNESCO World Heritage Site ofters spectacular attractions, Gunung Mulu has the world‘s largest cave chamber and the world‘s most extensive cave system with razor sharp limestone pinnacles. Tanjung Datu National Park Breathtaking vistas of rolling hills and waters teeming with corals are remarkable attractions here. Adventurous visitors can head to the nearby Telok Melano village tor a delightful homestay experience. Niah National Park Experience the awe of standing at the archaeological site of 40,000 year-old human remains in this park. Similajau National Park A bird-watchers‘ paradise, enthusiasis can see some 185 species of birds and 24 species of mammals. Lucky visilors may spot dolphins and turtles in the sea. Lambir Hills National Park The park is home to an incredible diversity of plants, trees and insects, some that are yet to be identified. Loagan Bunut National Park A natural marvel here is its large natural lake that is said to dry up and disappear during dry seasons. The Talang and Satang Island National Parks are turtle sanctuaries while Batang Ai National Park offers more jungle adventure. Longhouse Visits Go on a river safari to visit the indigenous communities who live in Longhouses along the Lemanak, Rejang, Skrang and Batang Ai Rivers. Watch how crafts are made or join in the cultural dances. Golfing Enjoy a round of golf in a pristine rainforest setting. Major golf resorts in Sarawak are situated in Kuching, Damai, Padawan, Miri, Sibu and Bintulu. Diving Diving enthusiasts should not miss a trip to Miri, to explore one of the richest reefs in Malaysia. Belais Reef and Luconia Shoals are among the popular dive sites in the South China Sea. Bario Lying at an elevation of 1‚000m, Bario in Kelabit Highlands is home to the Kelabit people, touted to be among Borneos best farmers. Visitors will be awed by their culture and lifestyle. Kuching International Airport is the main entry point info the state. Sarawak is easily accessible by frequent short-haul flights from the Kuala Lumpur International Airport KLIA in Peninsular Malaysia. Visitors can also fly in from the Kota Kinabalu International Airport in Sabah as well as other major cities in Malaysia.